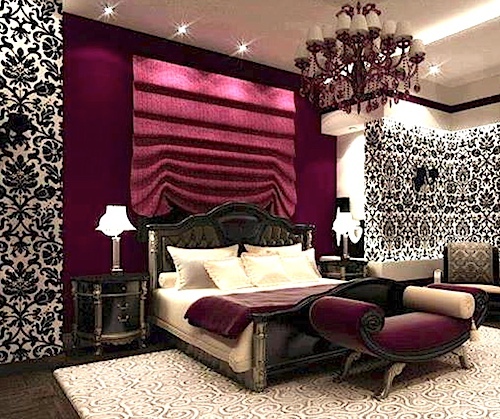 The mixing of patterns and prints is very important in interior design and decorating. 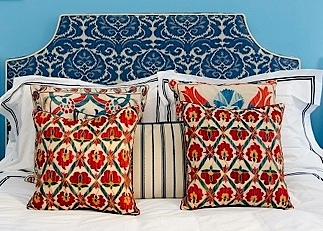 Patterns and prints add color, style, personality, and texture to any room design. They make a space look visually interesting, sophisticated, chic, stylish, and they offer a finishing touch to any interior space. There are many pattern and print options to choose from when you are designing a room. Some examples include: stripes, geometrical prints, zigzags, check, floral, polka dot, paisley, toile, and plaid. 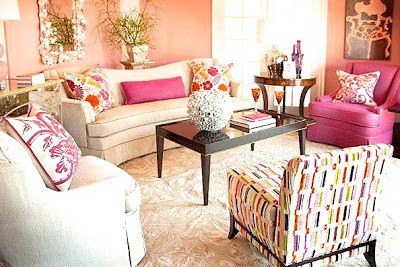 Select two to four different patterns that vary in size, proportion and scale when designing and decorating a room. Pick your favorite large pattern first. This pattern will anchor your color scheme and be the dominant textile in the room. Select small and medium patterns that complement the dominant pattern. Use the dominant pattern for the focal point of the room, such as wallpaper, curtains or bed coverings. If your dominant pattern is a large floral, the medium pattern could be a plaid or a geometric shape that has some of the same colors. Make sure the medium and small pattern colors complement those found in the dominant pattern. The medium patterns should be half the scale or size of the dominant pattern. 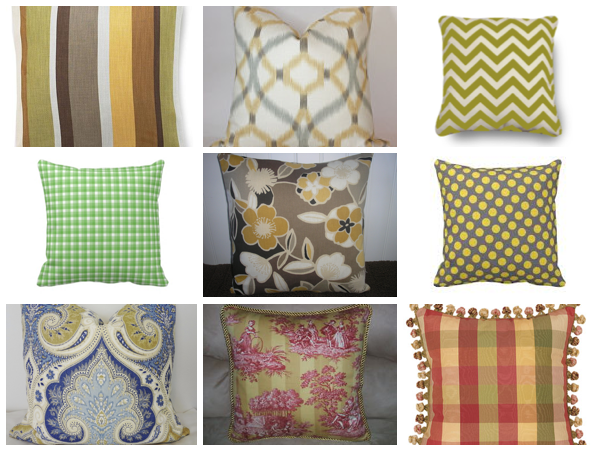 Use these patterns for pillows, table covers, and bed ruffles. Use colors that are similar throughout all the patterns and prints for an organized appearance. 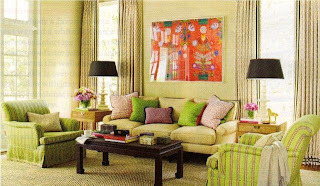 Use coordinated colors (complementary colors) to ensure your patterns mix well together such as red and green. Avoid putting all patterned pieces together on one side of a room. Mix patterns properly with textures. Geometric and stripe patterns can be mixed with a floral patterns. Don’t place patterns of the same size and scale next to each other. Mix and match small and large patterns. 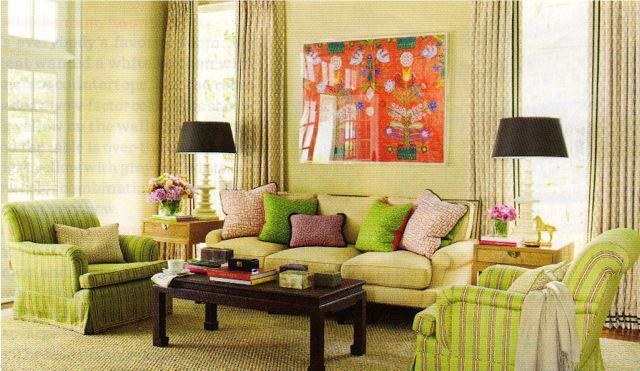 Use solid colors to provide visual relief and to balance out the patterns in a room. Mix up your design style with a combination of different patterns such as floral, geometrics, and stripes to give your room visual impact and personality. Repeat in your textiles the textures, colors, and patterns found in the furniture of your room to create a visible sense of balance and harmony. Use small-scale patterns in a small room and large scale patterns in a large room. Choose horizontal or vertical stripes to visually add width or height to a room. Mixing patterns and prints will give a room the wow factor. Follow the tips in this article and my previous textiles article to add eye-catching style and elegance to any room you are designing.